The Purrfect Realtor for YOU! What do you look for when you're shopping around for a real estate agent? First, you want someone you can trust, someone with whom you feel comfortable. You want someone who listens to what you're saying, gives you intelligent advice and takes the mystery out of buying or selling a home. But most of all, you want someone who puts your interests first - makes your satisfaction the number one priority in any transaction. If this sounds like what you want, you need look no further. 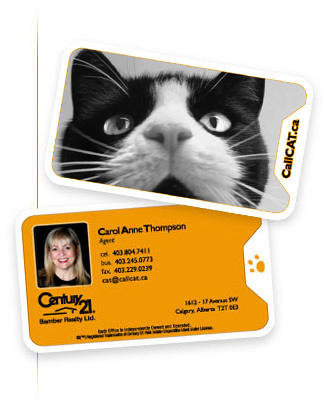 This site's content is the responsibility of Carol Anne Thompson, licensed Salesperson in the Province of Alberta.